The City Sessions Court of Kolkata on Saturday issued an order for arrest warrants against the Gorkha Janmukti Morcha chief Bimal Gurung and 22 others in connection with the alleged murder of Madan Tamang. "We had prayed for the issue of warrant against 23 people accused in the murder of Madan Tamang, including GJM chief Bimal Gurung. The court has ordered to issue the warrant, to be executed by CBI by June 26," said Arun Bhagat, counsel for CBI. 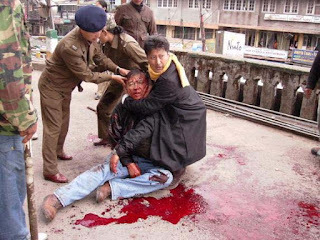 Gorkha leader Madan Tamang was hacked to death at Upper Clubside in the heart of Darjeeling town on May 21, 2010 while overseeing preparations for a public meeting. Meanwhile, sources in GJM have revealed that the 23 accused are likely to move higher court for anticipatory bail.